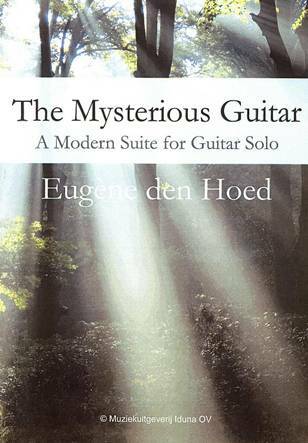 De negen stukken uit The Mysterious Guitar kunnen als een complete moderne suite worden gespeeld maar uiteraard ook als op zichzelf staande delen. 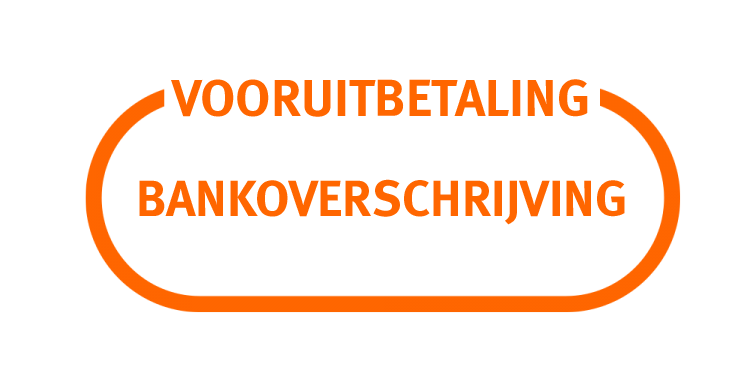 De stukken zijn geschreven in een hedendaags idioom en zijn zeer divers qua harmonische- en ritmische structuren. 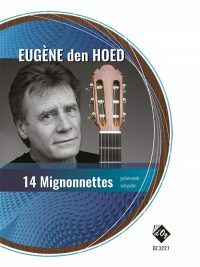 Al deze stukken zijn opgenomen door Eugène den Hoed op Iduna CD ‘Music for Guitar’ volume 8 MGGO 1868. 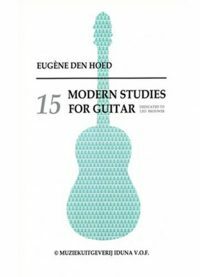 The Dutch guitarist Eugene den Hoed (once a member of the symphonic popgroup ‘Bonfire’) is a prolific composer of guitar music and, according to what little knowledge I can gleam from a small bit of research, has the admirable ambition to write contemporary music aimed specifically at the intermediate player. 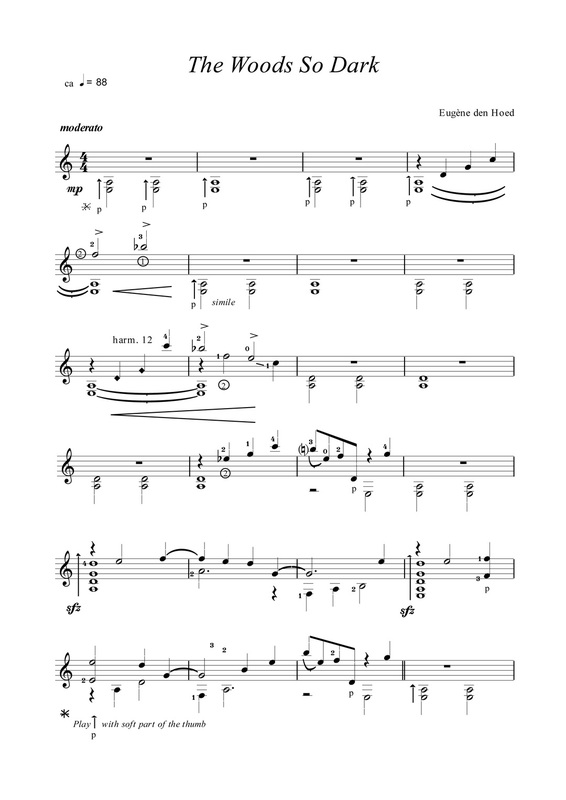 From the evidence of this new edition under review and several others reviewed recently, he is achieving this project in quite a successful manner. 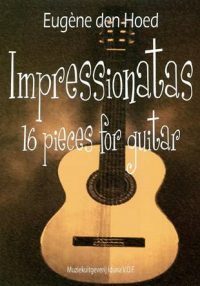 The Mysterious Guitar is subtitled A Modern Suite for Guitar and has altogether nine movements. 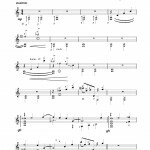 Each movement has a descriptive title and most of them to the expectations conjured by the name, hence The Woods So Dark has an ominous presence: The Stratosphere gives an ‘other-worldly’ impression; Mysterious Journey is… just that (shades of the Swiss composer, Frank Martin in this movement) and so on. 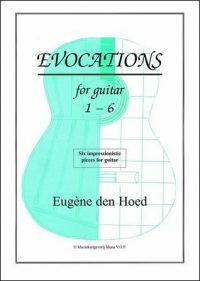 Eugène den Hoed obtains many of the effects by utilising one of the guitar’s most useful features, the campanella: this overlapping of notes seems a particular characteristic of this composer and one he uses to good effect.